Submitted by Univerpix Studio on Tue, 2013-03-12 04:48. It usually happens when the splines have some problems. E.g. duplicated vertices, or edges. You have to clean your splines. 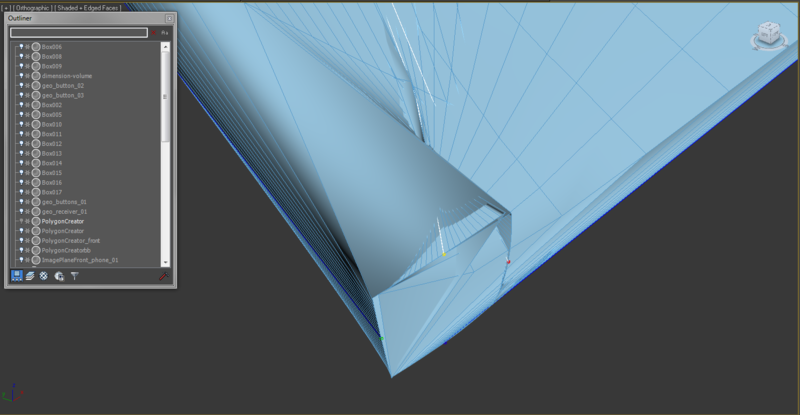 If you send me the splines in a .max file, i will check it, and correct it for you. Send it to [email protected] or via skype (skype name: heavenlypictures) or attach it to here in a comment. Submitted by vitalquaD on Mon, 2013-03-11 22:52. I have a problem. Script creates messy meshes. Script worked fine till now. And it works fine in a new scene. Maybe do I need to delete some cache files somewhere? Submitted by Univerpix Studio on Thu, 2012-03-15 13:14. I fixed this problem, now it is possible to register with this type of e-mail address. Submitted by berdinatilli on Wed, 2012-03-14 14:43. Submitted by Univerpix Studio on Wed, 2012-03-14 14:18. I fixed the links, now you can download the script from here, and you can go to my page. I don't know what is the form of your e-mail address, so I don't know what is the problem with it. Nobody reported this yet. But I changed some things in the e-mail checker method, I hope it works for you now. Anyway, you don't have to register to try the script, just install it, and press the "start trial" button after running the script. If you or anybody have problems please contact me. Submitted by Argyll on Sun, 2012-03-11 15:48. The links to the site and download not working - seems to have moved. I went to the site and downloaded the software - worked fine. Tried to register in order to use the software, but it kept telling me that my email address was not the 'correct form.' Totally hopeless so don't bother unless you have the magic form required to register. This guy needs to get his act together is he's going to be selling plugins. Submitted by Univerpix Studio on Tue, 2012-01-24 04:11. Somebody reported me the discount code doesn't work. I had a bug in my site, but I have fixed it. Now it works. If it isn't work, just remove the discount code, and accept it again. Sorry for that. Submitted by Univerpix Studio on Tue, 2012-01-24 02:45. Well, with maxscript it's a little bit hard, but it's easy with max plugin. So I want to turn this script into plugin. But I have to learn max SDK. Need a few month, but I think I can do it. Submitted by W DIGITAL on Mon, 2012-01-23 15:27. Submitted by Univerpix Studio on Mon, 2012-01-23 02:11. You can buy this script for $30 instead of $55 until the end of January.